The blue sky meets the deep aquamarine waters of Indian Ocean at Ile Aux Cerfs. 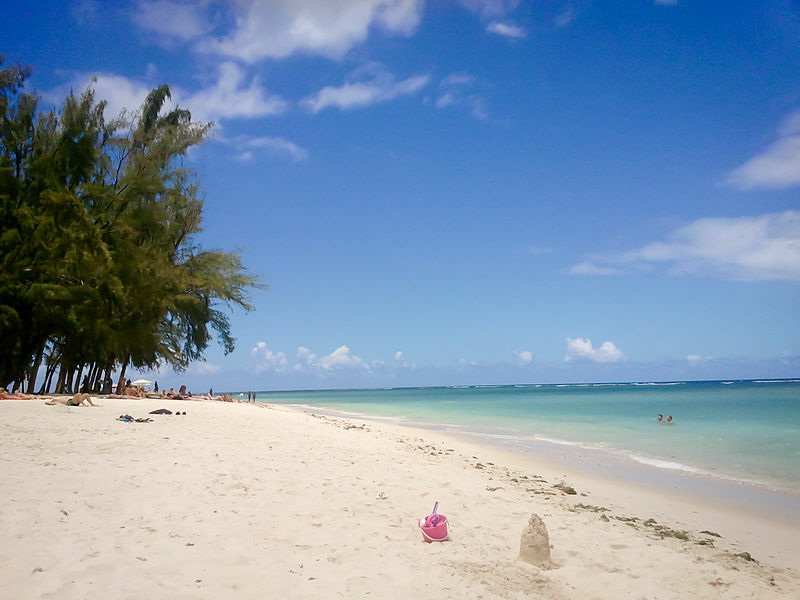 Stretched over miles of sand, this island is nestled in the bosom of Mauritius. With an undulating natural vegetation and terrain, Ile Aux Cerfs is artistically dotted with gullies, lakes, and volcanic rock outposts. The swaying palm trees on the beach seem to beckon the travelers for a quiet tryst with the sun. The island was once populated by deers (Cerfs in French), which were brought from Java for hunting. While a 1-km-long hike down the beach will conclude with an idyllic view of the ocean, take a leisurely stroll to the famous Sand’s Bar ends with a refreshing cocktail of your choice. or hike a kilometer down the beach to discover an idyllic ocean vista, untainted by mankind. If you want something more than just beach fun, Ile Aux Cerfs, Mauritius has provisions for that as well. The island is popular for its world-class Bernhard Langer 18-hole championship golf course owned and maintained by luxury hotel group Le Touessrok. Guests at the hotel can try golfing without additional charges. 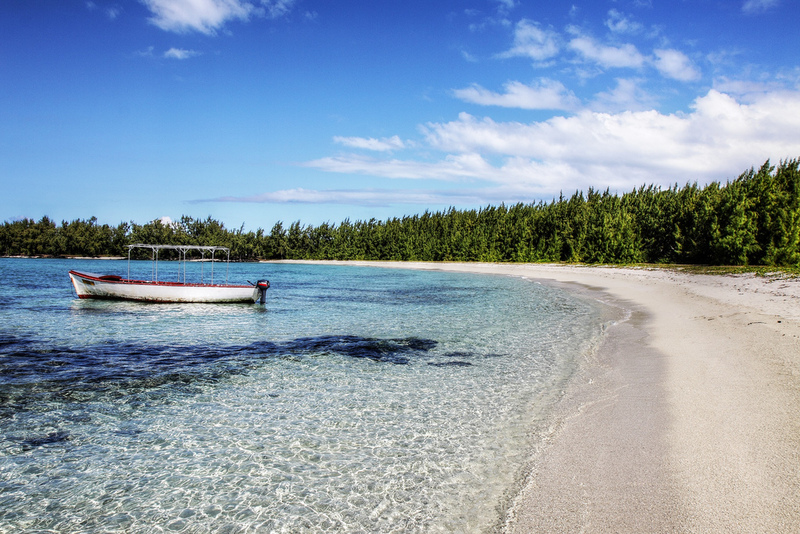 If nothing fascinates you more than tropical waters, Ile Aux Cerfs is a paradise for you. Options like swimming, surfing, and diving keep you glued to the beaches. 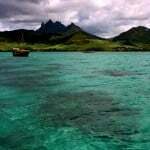 Swim or snorkel around in the warm blue waters of the lagoon to enjoy the rich underwater world. 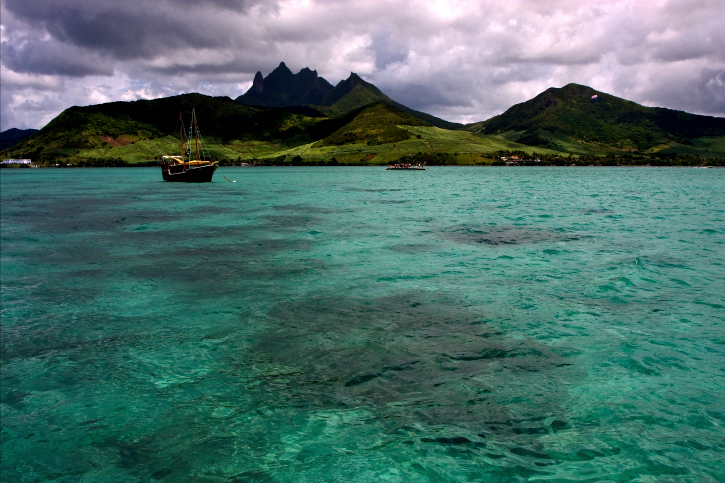 You can begin your Ile Aux Cerfs tour with some luxury cruise that promises a grand view of the island. Absorb the presence of the majestic mountain scenery of the East Coast as the cruise moves along the island’s largest and longest blue lagoon. Dive into the turquoise waters for a quiet swim or snorkel around for an up close and personal date with colorful tropical fish and coral beds. Glide towards the Grand River South East that hosts one of the most breathtaking waterfalls of Mauritius and capture memories of the roaring water crashing over cliffs. 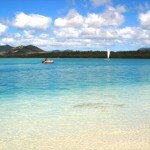 And as the cruise reaches the aquamarine waters of the island, get ready for a memorable excursion- Ile Aux Cerfs. The clear turquoise waters capture the shade of the swaying palm trees on the beach as if beckoning the traveler for a quiet tryst with the sun. Stroll across to the famous Sand’s Bar and get a refreshing fruit cocktail of your choice. Swim or snorkel around in the warm blue waters of the lagoon to enjoy the rich underwater world or hike a kilometer down the beach to discover an idyllic ocean vista, untainted by mankind. With an undulating natural vegetation and terrain, Ile Aux Cerfs, Maurice is artistically dotted with gullies, lakes and volcanic rock outposts. Ile Aux Cerfs is situated on the east coast of Mauritius in the Flacq District. By Air – Sir Seewoosagur Ramgoolam International Airport (SSR Airport) is the nearest airport from Ile Aux Cerfs and it usually takes 41 minutes to reach the island. 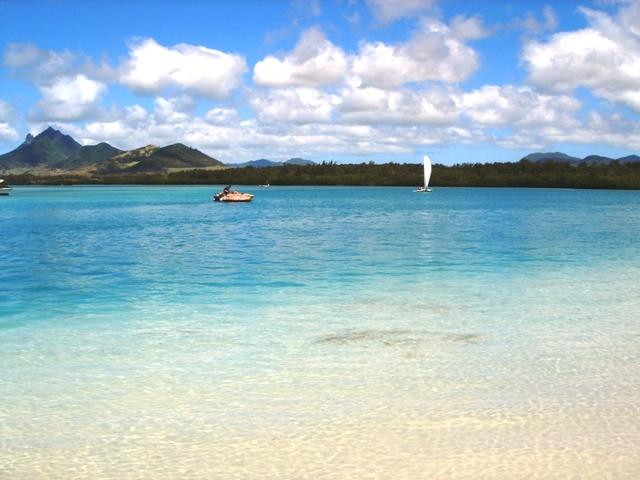 By Sea – The island is accessible by boat from the village of Trou d’Eau Douce. Tourists have to rely on private operators like Vicky Tours, Trou d’Eau Douce Co-operative Ferry, and Société F. Lacour & Fils. All of them operate from the northern end of the island. Boats can also be arranged from local hotels or guesthouses. By Road – You can count on the air-conditioned buses and metered cabs to take you close to the points from where the boats depart for Ile Aux Cerfs. Trou d’Eau Douce village and Beau Champ are some of the nearby landmarks. For luxury accommodations, choose from Four Seasons Resort Mauritius at Anahita, Le Touessrok Resort, and Anahita The Resort. Within few kilometers lies the mid-range hotels such as Silver Beach Hotel, Hotel Tropical Attitude, Le Surcouf, and Laguna Beach Hotel & Spa. The high-end Paul et Virginie restaurant on the beach serves the best seafood in the island. Le Marche, which is no less popular, serves delicious Mauritian delicacies. La Chaumière Masala is known for Indian dishes that are modified to suit European palate. Zorro’s delicacies, Chez Tino Restaurant, and The Plantation Restaurant are other noted restaurants in the vicinity. The island is characterized by a tropical climate, with warm, dry winters (May to November) and hot, humid and wet summers (November to May). Tropical cyclones are quite common between December and March. 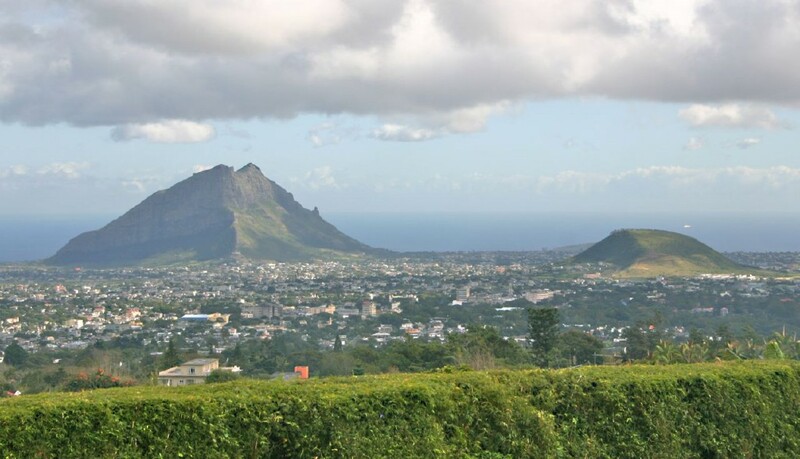 It is located in the windiest part of Mauritius, namely the East Coast, making the time between June and August the best months to visit. Local handicrafts are available in the flea market that sells memorabilia and other items. The small village of Grand River South East is famous for its roaring waterfalls. There are no deers on the island today, but you will find some of the beautiful beaches in the world. Le Touessrok is a 5-star resort in the island. 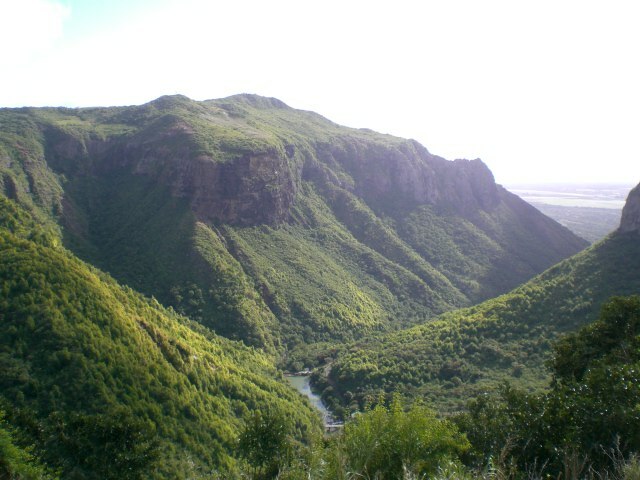 Golf course and Chamarel waterfalls are the leading attractions. Though the signs say otherwise, there is no public transport available to the island. Do not forget to carry an umbrella, binoculars, and sun-screen lotions on the beach. A trip to the island by taxi boats takes between 15 and 20 minutes depending on your point of departure. 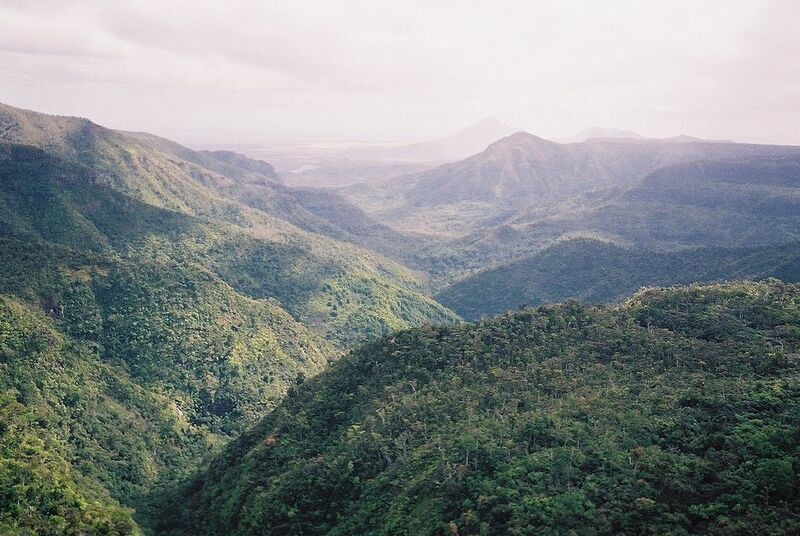 Blue Bay, Trou D’eau Douce, Grand River, Grand River Waterfalls, Mahébourg, and Ilot Mangenie. 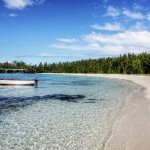 Related: Mauritius Attractions | Where is Mauritius?